​Alt Egyptian: dwdw, titi, dwdw, dwAdwA, twAtwA; tww? 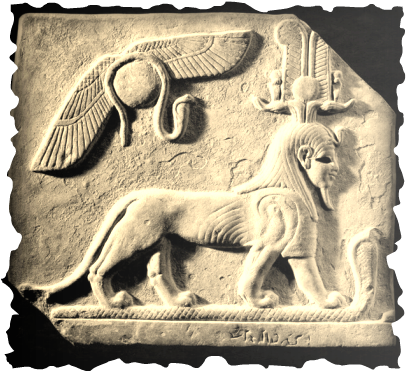 Winged lion, the head of a human, other heads of hawks and crocodiles projecting from the body, and the tail of a serpent. God of protection of tombs, later guarded the sleeping from danger or bad dreams, Master of demons. Sun god and creator roles as King. Ἠ σύνοδος Τιθοήους θεοῦ μεϒ [ά훌ου θ] εῷ Ἀμμωνίῳ ὲπὶ κοσμάρου ἀρ훘ιερέως ἐποίησεν εὐσεβείας 훘ά [ριν ἔτους] ιηʹ Θὼθ 훕ρισκαισεκά훕ηι.